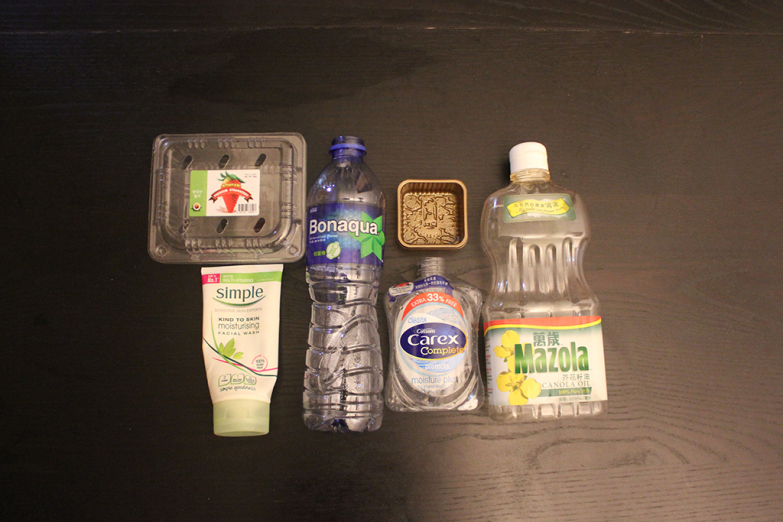 Roughly seven months into my zero waste challenge and I have become a hoarder of recyclables. 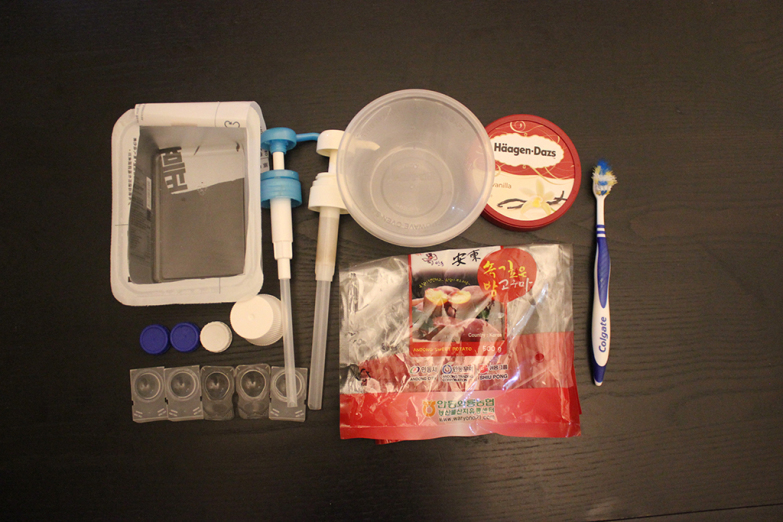 The original plan when I started the challenge was to rid my flat of all the unnecessary plastic containers, cardboard boxes, wine bottles, Chinese New Year red packets and general junk that the standard Hong Konger accumulates. These are all now stacked in a corner of my apartment, and I fear that I have become the equivalent of a crazy cat lady, minus the cats, wandering the streets putting plastic packaging into my bag and saving it for recycling. One of my rules is if I accidentally get given a plastic straw at a café, I keep it to make sure it is properly recycled. But I’ve found that I simply don’t know what we can and can’t recycle here. I sat down with recycling collector company HK Recycles to get the low-down on recycling in this city. I discovered that paper and metal retrieval is bolstered by cash incentives that don’t exist with plastics, so the recovery rate of plastics has drastically dropped, and since the financial crash, the selling prices of raw recyclable materials have also dropped, resulting in fewer collectors delivering the materials to the correct sorting stations. Currently it is down to the individual to diligently separate waste and dispose of it in the appropriate bins. Problems occur when the recyclables are contaminated with hard-to-clean items like oily foods; this is why you often see recyclables being sent to landfills, as it may cost more money to clean contaminated items. Bottles and beverage containers should be emptied before recycling. It’s not necessary to completely clean them, but a light rinse will help. Lids are best taken off bottles if they are rinsed, as recycling plants need to remove these by hand. However, if you have not rinsed your bottle (unless it's water), it's better to keep the lid on to keep away insects. Food labels don't need to be removed, but it’s a plus. Plastic toys combined with other materials (like metal parts) cannot be recycled unless separated prior. Things like receipts, rubber bands, dishwashing gloves, disposable cups and used tissue paper all cannot be recycled, so it’s best to keep them away from the recycling bins. One of the most common types of plastic, you’ll see PET used for things like water bottles, washing-up liquid, mouthwash bottles and peanut butter jars. Be careful with these containers, as they should only be used once. In warm conditions, bacteria can multiply to harmful levels and, if heated, toxins can leach into food and drink. 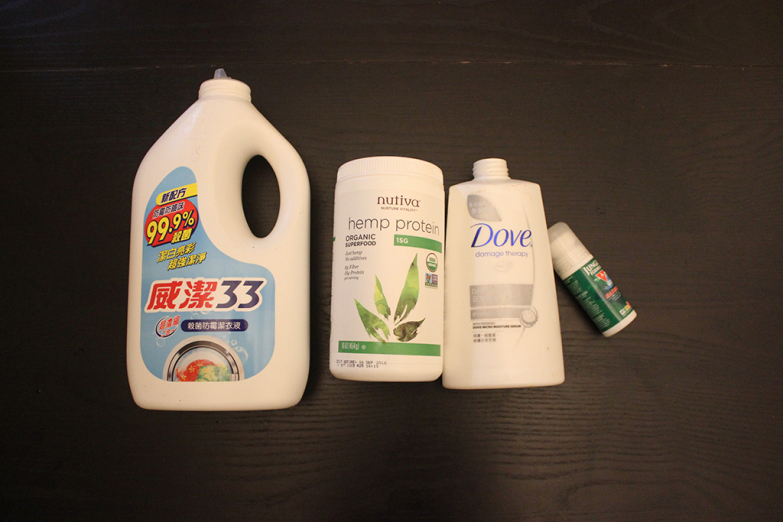 This is a tougher type of plastic commonly used for cleaning products, shampoo and other toiletries. It’s safer than PET because it can withstand higher temperatures and doesn’t leach as many toxins. 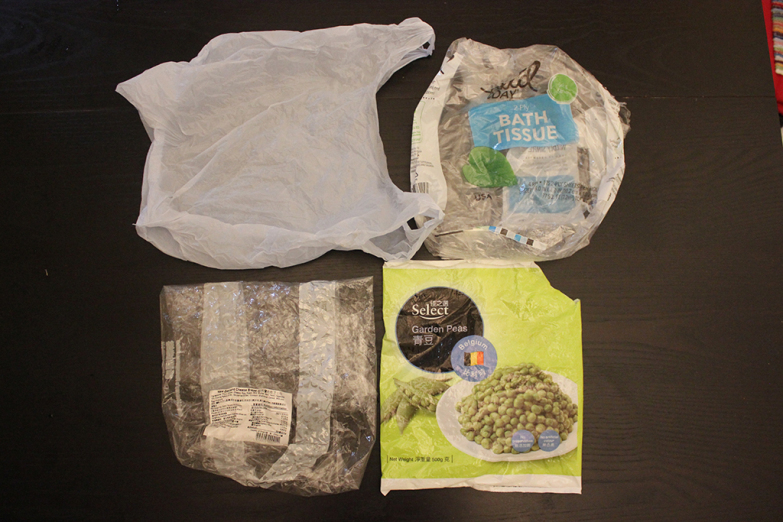 These are your standard grocery bags, rubbish bags, some food storage containers and cling film. 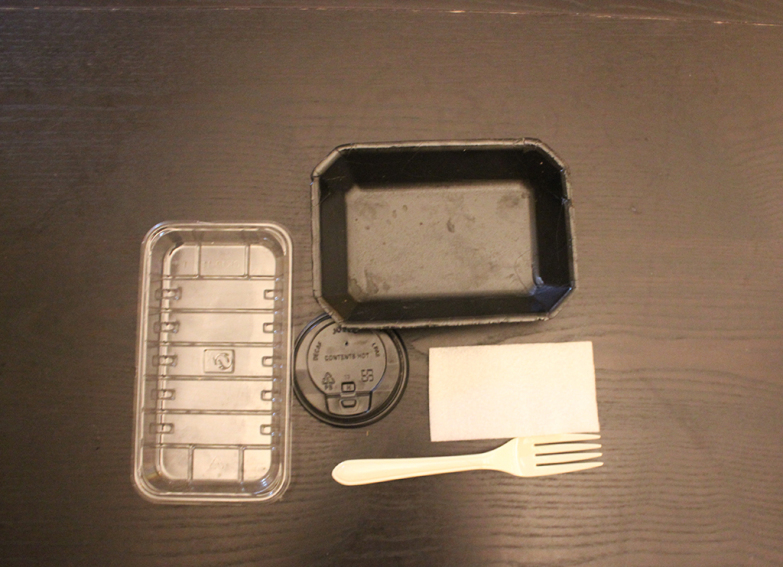 PP can withstand higher temperatures and is microwavable, so it's usually used for takeaway containers and bottle caps. It's generally considered a safer plastic for food and drink use, though it has been shown to leach plastic additives. Currently banned in California yet currently used on every corner in Hong Kong. You see styrofoam used to transport fresh fruits and vegetables and as a common takeaway container. This is really one to avoid because polystyrene can easily leach into food and become carcinogenic. There also aren’t any facilities here to recycle it. This category is used for all other types of plastics, including polycarbonate (PC), usually used for baby bottles and paper receipts. Biodegradable polylactic acid (PLA) plastics also fall into this category, and though we are seeing more of this on the market, PLA plastics still need to be processed in a specific way. Currently, Hong Kong does not facilitate this process. In a landfill, it takes around 1,000 years to decompose. What’s more, the PLA in circulation here without the infrastructure creates confusion between the other oily plastics, resulting in the lowering of the overall recycling rate. That’s not to say that PLA is a bad thing; we just need the education and infrastructure to support biodegradable plastics in order for it all to make sense.